Experts are calling it the largest animal rescue operation in history. When Hurricane Katrina struck New Orleans, Louisiana, the city’s human residents weren’t the only ones trying to cope with flooded and devastated homes. More than 250,000 pets — from cats and dogs to parrots and fish — were left stranded by the storm’s destruction. Owners, expecting to return a few days later, left food and water for their pets. But days turned into weeks, and pets had to struggle to survive without supplies or the love and care of their owners. NATURE’s Katrina’s Animal Rescue tells the remarkable and heart-wrenching story of those who came to the aid of these abandoned animals. 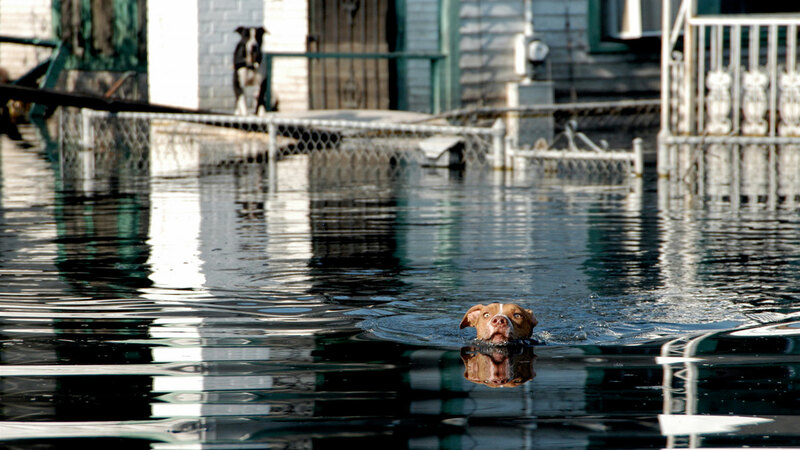 Rescue workers venture into polluted floodwaters and break into abandoned homes to rescue dehydrated, starving dogs. Vets work nonstop to provide medical treatment to rescued animals. At shelters, volunteers help families comb through thousands of cages. Will there be a happy reunion? Follow volunteers on NATURE’s Katrina’s Animal Rescue as they rescue animal survivors and reunite them with their families. A production of Thirteen/WNET New York and National Geographic Television, Inc.